New Jersey Democrat Tom Malinowski is defending himself from a new ad from a Republican Super PAC hitting him for work "lobbying for terrorists' rights," arguing that his lobbying work was in support of an anti-torture bill supported by Republicans such as Sen. John McCain (Ariz.) and Rep. Paul Ryan (Wis.). Malinowski, running in New Jersey's hotly contested 7th congressional district, immediately responded to the ad on Twitter, urging his critics to get their "story straight." His campaign called it "shameful" to attack Malinowski for working with McCain on a bill passed overwhelmingly by Congress. The defense would have been good if it had anything to do what the Congressional Leadership Fund was alluding to in its ad, which was Malinowski's lobbying to help enemy combatants held at Guantanamo Bay access to federal courts, something McCain has always strongly opposed. 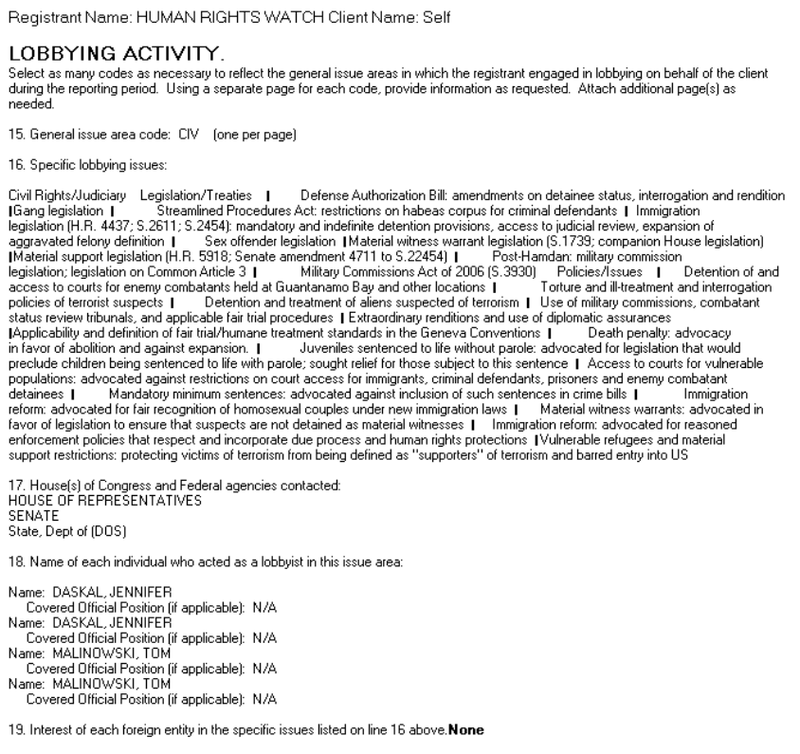 Malinowski was a top lobbyist for Human Rights Watch during its push to get enemy combatant detainees access to courts, according to lobbying disclosure forms he is listed on. Among the issues Malinowski was lobbying on were the "detention of and access to courts for enemy combatants held at Guantanamo Bay and other locations." He also "advocated against restrictions on court access for immigrants, criminal defendants, prisoners, and enemy combatant detainees," disclosures from 2006 to 2008 show. Human Rights Watch was clear at the time of Malinowski's employment on its stance that "Congress should restore detainees' access to the courts." "The first order of business for the new Congress should be to restore the detainees’ right to habeas corpus," it's executive director wrote. "It’s a vital mechanism for preventing abuse of detainees and for protecting people who shouldn’t be in detention." The Congressional Leadership Fund is standing by the ad. "Tom Malinowski can attempt to spin his 20-year career as a D.C.insider and lobbyist supporting far-left policies and terrorists’ rights all he wants, but the truth is Malinowski lobbied in support of terrorists at Guantanamo Bay," said Courtney Alexander, the group's communications director. "He owes New Jersey families an explanation." You can view the full ad from Congressional Leadership Fund below.